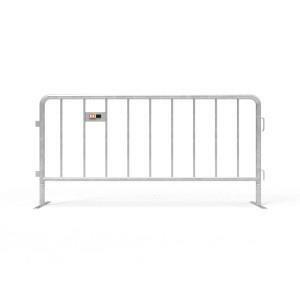 A low cost portable and stackable plastic fence for crowd control or closing off worksites. 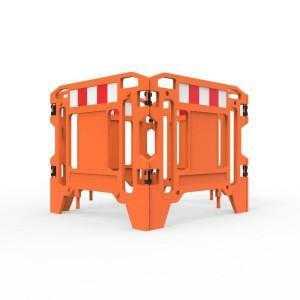 Manufactured from durable polyethylene in a high visibility Orange colour with hi-vis reflective panel on one side. Black feet made from recycled rubber rotate to the flat position for stacking. Handling and transporting panels is made simple and efficient with optional forklift stillages that hold up to 20 panels. 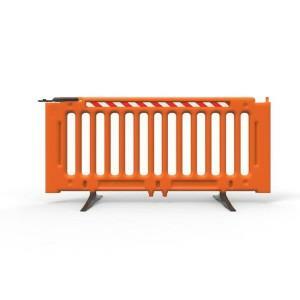 Hi-Vis Orange super tough polyethylene barrier. Black recycled rubber feet rotate for flat packing. 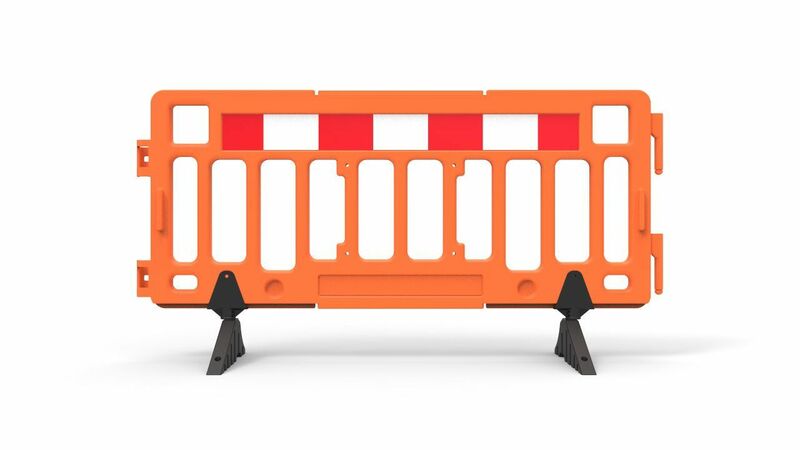 High visibility orange or yellow with reflective panels.